A responsive multi-page online referral form for a leading not-for profit provider of housing and mental health support. We were tasked with producing a simple to use, multi-step web form which could be used as a standalone webpage, or embedded within another site. The site needed to securely submit information to a database and redirect site visitors based on options chosen at different steps. 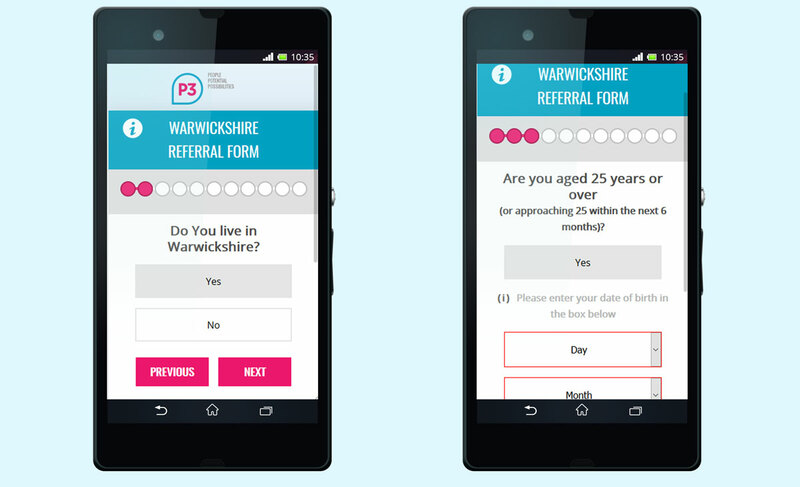 The design needed to break down the complicated steps of an existing paper based referral form, into easy to follow chunks, and be suitable for use on a range of common devices.